The Early Streets of Brisbane is a heritage-listed archaeological site at sections of Albert Street, George Street, William Street, North Quay, Queen's Wharf Road, Brisbane City, City of Brisbane, Queensland, Australia. It was built from 1825 onwards. It was added to the Queensland Heritage Register on 16 July 2010. In May 1825 Lieutenant Henry Miller moved the Moreton Bay penal colony from the Redcliffe Peninsula to the northern bank of the Brisbane River. This was an elevated location with water holes and cooling breezes. The southern bank was a cliff of rock, suitable for building material, and a fertile flood plain. The settlers faced hardship and privation and the paucity of resources combined with thick sub-tropical vegetation made settlement difficult. :35 Between 1826 and 1829, the number of prisoners in the settlement rose from 200 to 1000 and the plight of the convicts whose labour was to establish the settlement was dire. The Moreton Bay Penal Settlement during its 15 years of operation consisted of a range of buildings including barracks for convicts and troops, officers' quarters, dwellings for the Commandant, chaplain, Commissariat officer, surgeon, Commandant's clerk and engineer, a military and convict hospital, the Commissariat Store, and various stores, barns and sheds. The settlement also included a wharf, wells, a flagstaff, gardens and a lumber yard. The first military barracks were constructed in 1825 as two slab huts for the sergeant, corporal and 12 privates, and separate huts for the married couples on the corner of Queen Street and North Quay, site of the present Brisbane Square. The barracks were later moved to the other side of Queen Street and replaced by the second lumber yard in 1831. The first prisoner accommodation also consisted of slab huts, probably at the intersection of Queen and Albert Streets; stone barracks were constructed in 1829. The first Commissariat Store was constructed as a long, low slab building near the corner of Elizabeth and Albert Streets and was later used as a barn, after the stone Commissariat Store was built in 1829.:47–48 The first Commissariat Store appears to have been situated within the alignment of the present day Elizabeth Street. A hospital was completed in 1827, after much government bungling over plans and approvals, on the block bounded by North Quay, Adelaide, George and Ann Streets, with the buildings extending into the current alignment of Adelaide Street. The windmill tower which still stands on Wickham Terrace was likely completed in late 1828, with a treadmill added before September 1829. The new Commissariat Store, Brisbane was constructed in 1828 and 1829, on its site between present day William Street and Queens Wharf Road. The two story utilitarian building was constructed of local porphyry and sandstone, with its ground and second floor doors opening towards the river and the wharf. :13 Used for various stores and government purposes over its history, it is one of only two extant structures from the convict period. In 1839, in preparation for the opening of Moreton Bay to free settlement, surveyors were sent from Sydney to draw maps of the district and prepare town plans so the land could be put up for sale. The town plan undertaken by Robert Dixon (Plan MT3, DERM 1840) is based on an earlier 1839 plan but superimposes the proposed street plan for the free town of Brisbane with square blocks of 10 chains (660 ft; 200 m). :264, illustration 118:5 Additional features depicted in these plans include a well situated in what is now George Street, near the intersection with Burnett Lane; a flagstaff in the centre of what is now William Street, close to the northwest boundary of Miller Park; and a range of gardens. The garden areas included military gardens and Dixon's garden behind the Military Barracks in the block bounded by Queen, George, Elizabeth and Albert Streets; Whyte's garden to the northwest of the Prisoners Barracks, through which Burnett Lane now runs; Handt's garden and Kent's garden to the rear of the Chaplain's house and Commandant's house, today overlain by parts of Elizabeth, George and Charlotte Streets; the Commandant's garden adjacent to the Commissariat Store along William Street and down towards Alice Street; and Paget's garden and Dr Ballard's garden adjacent to the Hospital, in the location of George and Ann Streets. Barns and a piggery indicated on Dixon's 1840 plan appear to have been situated within the current alignment of Charlotte Street. Archaeological investigations at the Commissariat Store, Old Windmill and 40 Queen Street (Brisbane Square) have identified archaeological remains dating to the penal period. The original cemetery site at Skew Street is also well known as is the children's burial site at North Quay. The remnants of the original Commandant's House were also unearthed in the mid 1980s without any archaeological investigation. The Early Streets of Brisbane excludes the volumetric parcels, being Lot 42 SP145288, Lot 587 SL10897, and Lot 588 SL10897. All roads are modern bituminised surfaces with white and yellow line markings. All roads are kerbed and channelled with either concrete or porphyry stone blocks in the kerbing, and concreted gutters. The road reserves include the footpaths which consist of a range of surfacing materials including brick paving, concrete and bitumen. Burnett Lane is a narrow street that runs between George Street and Albert Street between and parallel to Adelaide Street and Queen Street. It is Brisbane's oldest laneway and is named after James Charles Burnett, one of Queensland's earliest surveyors. During the penal colony years, it was used as a prison exercise yard and for floggings and hangings. Later it became the tradesmen's entrance to buildings fronting Queen and Adelaide Streets. In 2008 Brisbane City Council announced that Burnett Lane would be refurbished and integrated into the Queen Street Mall precinct, resulting the lane developing into a popular cafe and bar precinct, but delivery vehicles pose a problem for pedestrians in this narrow street. Early Streets of Brisbane was listed on the Queensland Heritage Register on 16 July 2010 having satisfied the following criteria. The Early Streets of Brisbane have the potential to contain archaeological artefacts that are an important source of information about Queensland's history. Potential subsurface remains will demonstrate the establishment, evolution and pattern of settlement of early Brisbane as a penal colony. Evidence of this first European occupation of Brisbane is extremely rare given the substantial development into a modern city. Archaeological remains associated with the Moreton Bay Penal Settlement will provide evidence and understanding of a particular type of place - that of colonial penal settlements - this being the first and only example of its type in Queensland. Survey plans of the initial settlement overlaid with the proposed (and current) street plan exist, enabling the clear identification of locations of the early settlement structures. Although the current alignment of Queen Street remains substantially the same as its original, the current street plan alignment overlaps with allotments from the penal settlement period. This leads to a high potential for the remains of buildings being situated within the current street alignments. The construction of Brisbane's streets has seen a deposition and build-up of layers rather than being cut down and removed, thereby preserving earlier cultural deposits. This was evident during work undertaken for the construction of Queens Plaza on the corner of Queen and Edward Streets in 2003 which clearly demonstrated the buildup of layers in the stratigraphic profile of Queen Street. The streets therefore are the least disturbed areas in the Brisbane Central Business District (CBD) with the most potential for the presence of the earliest remains of Queensland's European settlement. The Streets have the potential for subsurface remains of the full range of activities occurring in the penal settlement related to the Prisoners Barracks, Commandant's House and Office, Commissariat Store and Office, Officer's Quarters, and Military Barracks, Military and Convict Hospitals, other dwellings, gardens, stores and barns. The archaeological investigation of the Early Streets of Brisbane has the potential to provide information about unmapped buildings and features, and to provide information about the use of mapped structures whose purpose is historically unknown. The remains of buildings, features and other artefacts have the potential to provide insight into the material culture and life ways of the convicts, soldiers and administrators of the penal settlement. They also have the potential to provide an insight into the social divisions between these groups, and the social development of early Queensland. 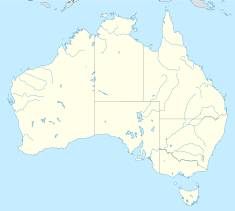 This will contribute information to the collective understanding of convict sites around Australia and the place of Queensland in the system of forced migration and punishment of the 18th and 19th centuries. Given the accumulation of material from the initial European settlement of Brisbane to the present day, there is also the potential for archaeological remains from subsequent periods to be recovered. This will contribute to the full history of development of Queensland's capital city of Brisbane. The Early Streets of Brisbane have been assessed as part of the Brisbane City CBD Archaeological Plan as being "Exceedingly Rare" given their association with the penal settlement phase of Brisbane. The level of disturbance has been designated as "Intact" given the minor subsurface works undertaken and the tendency for accumulation of deposits when constructing or renewing road surfaces. This combination of being designated "exceedingly rare" and "intact" leads to the categorisation of the Early Streets of Brisbane as having "Exceptional Archaeological Research Potential". Being the least disturbed areas of the Brisbane City CBD with high potential for the earliest remains of the colony's establishment, archaeological investigation of the Early Streets of Brisbane has the potential to answer important research questions critical to Queensland's history. Such questions could focus on but are not limited to the identification of the locations and purposes of previously undocumented penal settlement buildings, questions of social status, individual and collective living conditions, and an understanding of the processes of forced migration and punishment. ^ a b c d e f g h i j k l m n o p q r s t u v w x y z aa ab ac ad ae "Early Streets of Brisbane (entry 645611)". Queensland Heritage Register. Queensland Heritage Council. Retrieved 8 December 2016. ^ a b c Evans, R. (2007) A History of Queensland. Cambridge University Press, Melbourne. ^ a b Johnston, W. R. (1988) Brisbane: The first thirty years. Boolarong Publications, Brisbane. ^ a b c d e f g h i j k l m n o p q Steele, J. G. (1975) Brisbane Town in Convict Days, 1824–1842. University of Queensland Press, Brisbane. ^ a b Kennedy, M. (1998) Commissariat Store Conservation Plan. Department of Public Works, Brisbane. ^ Evans, R. and C. Ferrier (eds) (2004) Radical Brisbane: An Unruly History. The Vulgar Press, Melbourne. ^ de Vries, S. and J. de Vries (2003) Historic Brisbane: Convict Settlement to River City. Pandanus Press, Brisbane. ^ Hadwen, I., J. Hogan and C. Nolan (2004) Brisbane's Historic North Bank: 1825–2005. Royal Historical Society of Queensland, Brisbane. ^ "First Surveys". 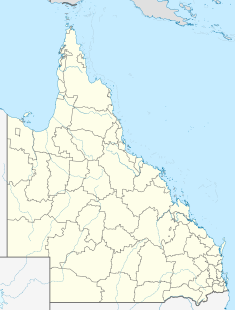 Queensland Government. Archived from the original on 31 August 2015. Retrieved 31 August 2015. ^ "Burnett Lane incorporated into Queen Street Mall". Brisbane Times. 18 May 2012. Retrieved 25 May 2012. ^ Panayotov, Jodi (6 June 2014). "Brisbane Laneways: a guide". Brisbane Times. Retrieved 10 March 2015. ^ Department of Environment and Resource Management (2009) Brisbane City Central Business District Archaeological Plan, November 2009. ^ University of Queensland Cultural and Heritage Unit (2009) The Brisbane City CBD Archaeology Plan: Phases 2, 3 and 4, UQCHU Report No. 432b. Unpublished report to the Department of Environment and Resource Management. This page was last edited on 28 December 2018, at 10:51 (UTC).